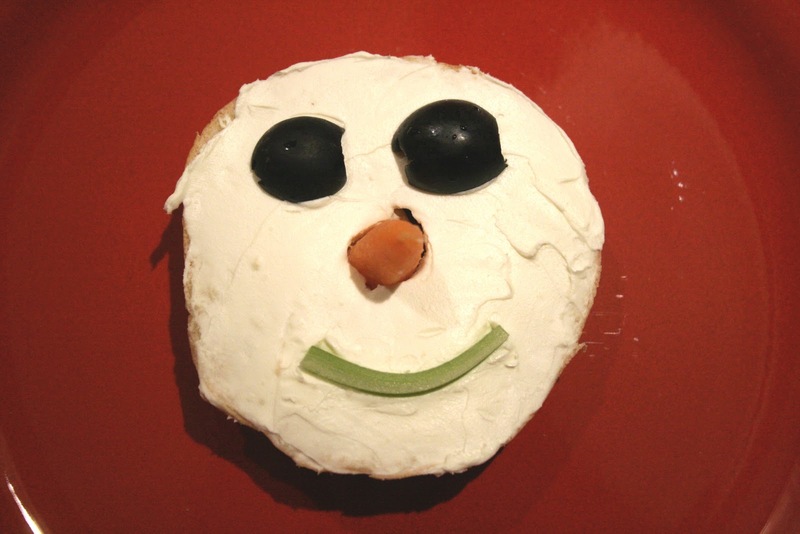 spread cream cheese on bagel halves until completely coated. Place olives for the eyes. Stick the carrot nose right in the hole/center of the bagel. Use celery strips for the mouth & top of ear muffs. 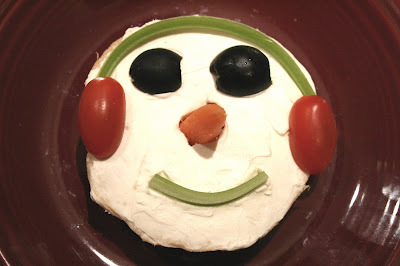 Place tomatoes as the ear muffs. 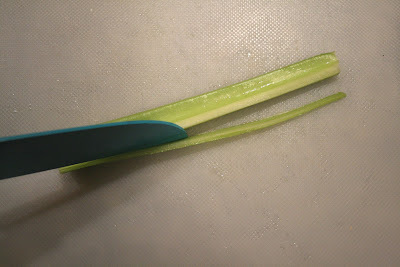 This is how I cut the celery. Really thin so it can be easily formed into the desired shape. You could also use red or yellow peppers for this step. Here is another option that is a bit easier. This is what we did for my gilrs' class. I got all the veggies ready & spread the cream cheese on the bagels. My girls did all the decorating. It was fun & their class was thrilled. Plus they all got a healthy, hearty snack.